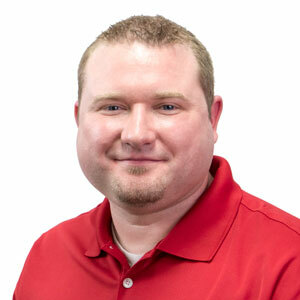 SIGMA Equipment, in Evansville, IN, announced today the appointment of Michael LaGrange to Operations Director. LaGrange brings with him 11 years of experience in procurement, supply chain, packaging and manufacturing management. LaGrange will oversee various departments within SIGMA Equipment, including Warehouse, Logistics, Shop, SIGMA Surplus, and Maintenance. “Our departments have grown a lot in recent years, and I’m excited for Michael to bring his expertise to our processes,” said company president Rob Palmer. As part of his new role, LaGrange will expand the activities of SIGMA Surplus, SIGMA’s parts and components division. His previous experience equips him with skills to develop strategies to maximize efficiency while coordinating large teams. LaGrange earned a Bachelor of Science in Electrical Engineering from the University of Southern Indiana in 2006. Prior to joining SIGMA, he worked with Bristol-Myers Squibb and Mead Johnson for 11 years. Michael and his family are a great addition to the SIGMA family.